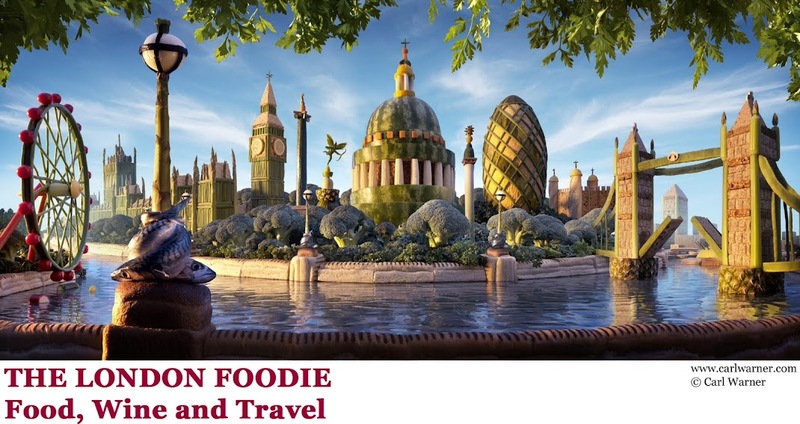 The London Foodie: Are you a cruiser? Find out here. Would I feel cooped up inside a boat? Aren’t cruising holidays for retired people? Will I get terribly seasick? What am I going to do all day? Won’t the food be awful? Celebrity Cruises and I collaborated in 2014 when I was asked to accompany their former executive chef John Suley to the International White Truffle Fair in Alba, Piedmont. We had a fantastic trip and I was genuinely impressed by the company’s attempt to bring some of the prized funghi onto their ships’ menu (Celebrity Cruises bid and won two lots at the Alba’s truffle auction for €5,000 and €10,000 each), you can read more about this here. So it was with great curiosity (and trepidation) that I accepted an invitation by Celebrity Cruises to come aboard one of their ships (Eclipse) for a 2-Night Taste of Modern Luxury Cruise from Southampton to Le Havre in France. I thought it was an opportunity not to be missed to put all those questions to the test. While this is largely dependent on the type and size of ship you board, Celebrity Cruise’s Eclipse was anything but claustrophobic, in fact it was gargantuan. The ship has 15 decks (floors) with the top being a lawned open-deck with a Sunset-Bar and large areas of green open space. My room was a standard en-suite, ocean view estate cabin. I would not describe it as luxurious, but it was nevertheless spacious, elegantly furnished and had a small veranda. I was surprised by how well proportioned it was - I have stayed in much pokier rooms during my trips to Japan so I was pleased with my cabin. There were swimming pools, shops, a theatre, a huge library, art galleries and even a casino onboard the Eclipse. There was plenty of room despite the ship being sold out with 2,850 passengers, and I must admit, I hardly bumped into the same face twice during the trip. With a number of specialty gourmet restaurants, from fine dining options like the Luminae (only accessible to those booking a suite), to the more family oriented places like the Oceanview Café (open from breakfast to late night-dining until 1am) where you will find stations serving up everything from sushi to pizza or French patisserie. 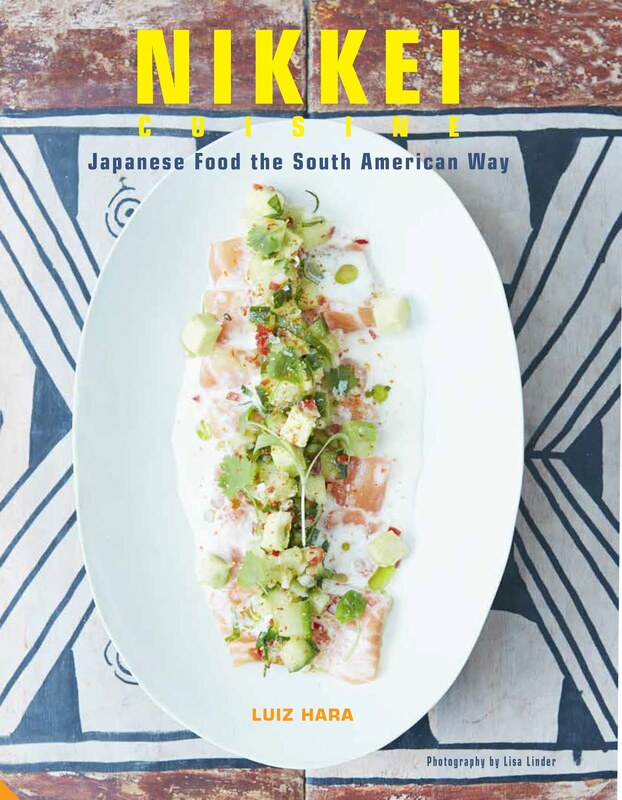 There are enough options to keep you exploring the restaurants for a good week or so. Likewise, there are many bars – I counted at least ten spread over the 15 decks of the Eclipse. The bars are super-busy though, and for someone like me who with zilch bar presence, you may have to wait a while to get a drink at times. But this is perhaps a reflection of the style of trip that I was invited to – a two-night cruise where most guests stayed indoors, drinking and enjoying the ship’s amenities. So returning to the original question – did I feel cooped up inside the Eclipse? No I didn’t, but this was mostly because of the ship’s size and the length of the trip. If the cruise were longer than 2 nights, I would have probably got out of the ship for shore excursions – this is after all one of the great advantages of cruising – the possibility of waking up at a different port city everyday. A lot of my friends are now retired, so apologies if this sound a tad rude! While there were a great number of people in their 60s and 70s on board, the majority on my cruise ranged from 20-something couples to people in their 30s, 40s and 50s. 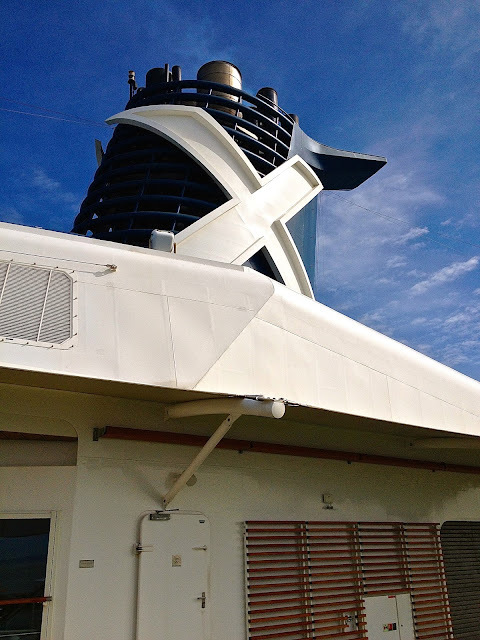 It was also fascinating to observe my fellow cruisers. They were a mixed bunch, ranging from the clearly affluent to people who looked or sounded less so. So the idea that cruising is only for the elderly was in my experience a real misconception on the Celebrity Cruise Eclipse. You probably won’t, but this again will depend on the type of ship you board – largely speaking, the bigger the boat, the more stable it is. On the Eclipse, the sea between Southampton and Le Havre was calm during those two days and this, coupled with the sheer size of the ship, meant that I hardly even noticed it was sailing. Every now and again, I would feel a slight dizziness, perhaps twice during an entire evening, much like having a glass of wine too many, which I probably did. That was a real concern that luckily was short-lived – there were so many activities packed into those two days, I hardly managed to keep up. One of the fun things I got to attend was a wine tasting with Oz Clarke, one of the two celebrities on board (Ben Fogle being the other). I have attended zillions of wine tastings in my time but this one was very interesting – not so much for the choice of wines (in fact the ones we tasted were quite pedestrian) but it was Oz’s anecdotes, sense of humour and knowledge that really made it for me. Oz Clarke was personable and friendly – he cuts through all the nonsense talk about winemaking. I remember well the four wines we tried and the stories behind them, thanks to his engaging approach. The “Eclipse Today” paper delivered every morning, listed every single activity taking place on the ship that day – there were hundreds of activities including lawn games, art tours, a number of musical shows, cookery demos, you name it. If you have a bit more energy to spare, the Eclipse has a huge fitness centre (where we spotted Ben Fogle strutting his stuff on the treadmill), with dance and yoga classes, and several massive swimming pools. Ben Fogle on the far left! If you book a cruise for more than 2-nights, I strongly recommend getting off the ship either for one of the organised excursions or on your own to explore the port town you dock at. There were a number of excursions on this trip including day trips to Paris with options of lunch on the River Seine or Eiffel Tower, and to nearby villages and towns. I didn’t get to do any of these unfortunately as there were so many other activities I wanted to attend onboard. 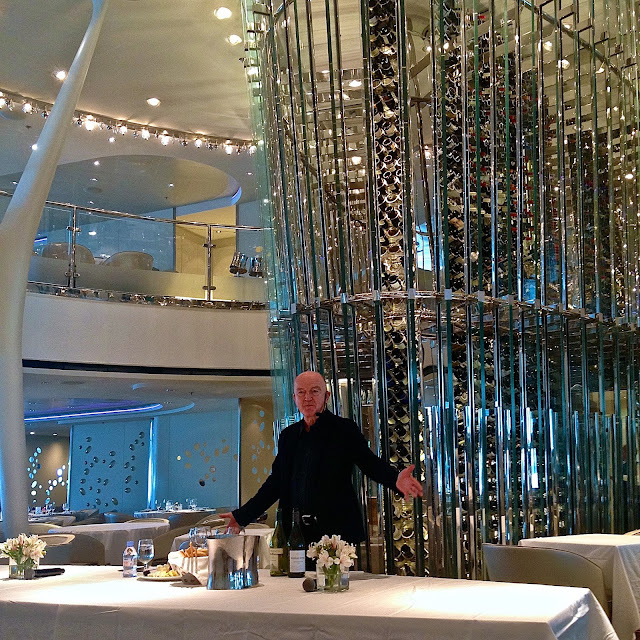 The Taste of Modern Luxury cruise I attended in May 2015 was a special trip as far as dining was concerned. 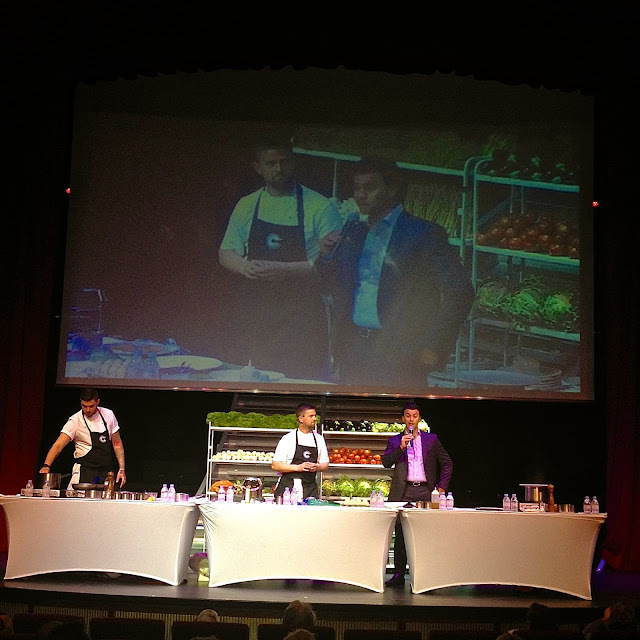 Two of Britain’s most celebrated, Michelin-starred chefs, Adam Simmonds and Robert Thompson, were on board for a number of cookery demonstrations and to cook us dinner on the two nights of the cruise. The dinners were taking place at two of the ship’s specialty restaurants and were only available to those cruisers on Specialty Dining packages. I am not going to bore you with the details of each dinner as the chefs for the 2016 Taste of Modern Luxury Cruise will most likely be different and so will be the food, but the dinners prepared by these two chefs were exquisite – with tip top ingredients, faultless cooking and with great wine pairings. Two dishes really stuck to my memory though, one being Adam Simmonds’ roasted loin of lamb with crisp belly, goat's curd and onion ash. This featured a beautifully succulent piece of meat (I am also getting a real fondness for crisp lamb belly which I am seeing more often in London’s menus), perfectly pink, it had wonderfully rich flavours and plenty of contrasting textures, a real winner. The other dish, also by Adam Simmonds, was his confit fillet of trout served with a delicious veal tartare, smoked English asparagus and edible flowers. The trout had been cooked sous-vide, which gave it a wonderfully buttery texture. I loved this elegant surf and turf combination, and it was a first for me to try salmon and veal in the same dish. The Oceanview Café was the ship’s main dining area, serving up breakfast, lunch and dinner as well as late snacks up to 1am. Here was where most cruisers on any dining package headed to whenever they wanted a bite to eat. More casual in style, the Oceanview Café was perhaps my favourite place on the ship. Considering the food at the Oceanview Café was pre-cooked and served buffet style, it was mostly of a good standard. The pizza station was great, as were the French patisserie and ice cream stations. I particularly remember the Paris Breast I got to try. The choux pastry was well made, and there was a delicious peanut butter ice cream with salted caramel. Add a glass or two of bubbly and we had the perfect afternoon snack! So food on cruise ships does not need to be awful – do your homework and make sure to book into a cruise liner that puts gastronomy at the forefront of what they offer. I genuinely feel that Celebrity Cruises strives to be one such company for those on its Specialty Dining packages. Is cruising value for money? Value for money is a very subjective concept, but personally I feel that cruising can be. The Oceanview stateroom I stayed at is priced at £359 per person, for an all-inclusive basic package. In addition to this basic package fee, there are some add-ons – the gratuity is a compulsory charge added to your bill at a rate of US$15 per day, which I felt was fair considering the excellent service onboard. Some other non-compulsory add-ons include the 24-hour wifi package priced at US$109 plus VAT (I found this a complete waste of money as I hardly got any signal out of it during those two days). An optional extra I recommend is to upgrade the drinks from the very limited basic package to the premium at US$11.80 per day. There is also a Specialty Dining Package available to those wanting to upgrade and experience the more exclusive dining options available onboard. The price for this dining upgrade varies between ships and the number of restaurants available so please check this when booking. There are two major aspects of cruising that really sell this type of holiday to me. I guess many of us have travelled to and explored a particular part of the world taking endless internal flights, buses and trains, stressing over check-ins, transfers and luggage. If this sounds familiar, then cruising is one option (at a price, of course) to take away all these worries. Secondly, the prospect of waking up at a different location every morning during a week or so of cruising is very appealing. How exciting to wake up in Genoa one morning, Naples or Palermo the next, then Venice! This short, 2-night cruise helped me explore the concerns and misconceptions I had about cruising, which was a real eye-opener for me. I had a great time overall and met and got chatting to many young couples onboard, some of whom had been on as many as 7 cruises in the last few years. The next Taste of Modern Luxury Cruise will take place on the 8th to 10th May 2016 (2 nights). Prices for the basic all-inclusive packages vary from £269 to £389 per person for a 2-night stay. Have you ever been on a cruise? 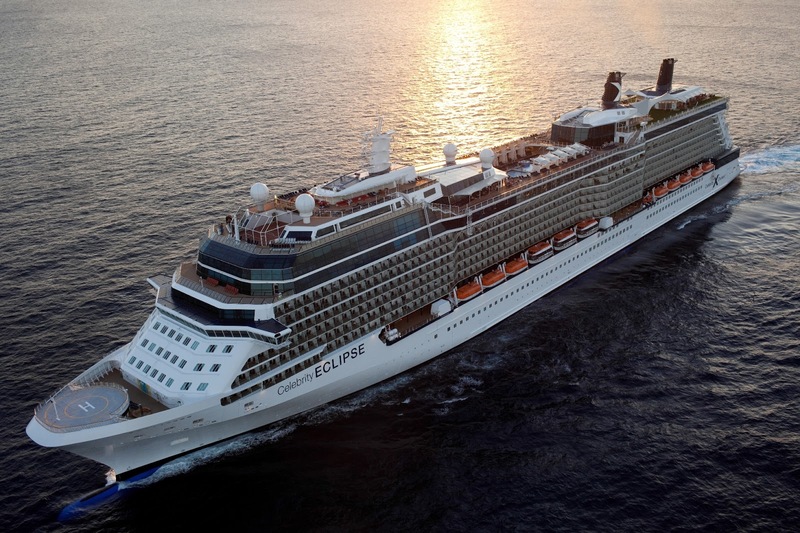 Have you tried one of Celebrity Cruises trips? I would be grateful if you were to share your opinions below. Thanks! On a Celebrity cruise ship you will discover a complete cruise experience in Modern Luxury!